In Baltimore's Inner Harbor, you're likely to find a lot of crazy cool and interesting sites but you haven't seen anything until you've visited Geppi's Entertainment Museum. Considered to be the "home of pop culture," student groups on a visit to Geppi's have the exciting opportunity to see their favorite characters in entertainment ranging from the 1700s to the present day. Find among the walls, shelves, curio cabinets, and glass cases a myriad of delightful faces, both familiar and strange, all across the eras of American entertainment. You might see Superman, Spider-man, and Batman poised to protect and serve next to adorable and magical personalities such as Mickey Mouse, Barbie, G.I. Joe, and many more. 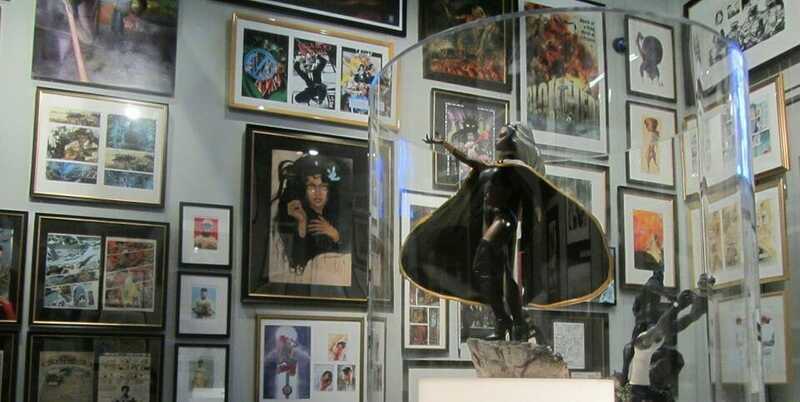 The museum features several types of artifacts including collectible and rare comics, toys, games, dolls, and memorabilia of every conceivable category. Geppi's knows its pop culture and wants you to know it as well. Through expertly curated special exhibitions, you can explore topics such as the artist spotlights, histories of characters and series, Baltimore heroes and much more. The museum also offers educational programs to student groups and hosts special events throughout the year including open lectures on the third floor. Geppi's welcomes school children of all ages and offers special tours tailored to your specific objectives.